Health insurance for older workers is increasingly based on early intervention to enable a return to work. 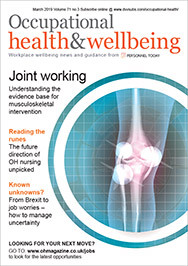 Second medical opinion services can help older workers return to work after sickness absence and reduce risks for employers, argues Dominic Howard of Best Doctors. Few things in business can ever be predicted with any great degree of certainty. However, one thing is a foregone conclusion: older workers will increasingly dominate the workforce. Due to a combination of the removal of the default retirement age, poor pensions performance and longer life expectancy, older people are now delaying retirement until later in life. Already the proportion of people aged 70-74 still working has doubled in the past 10 years (from 5.5% to 9.9%, according to the Office for National Statistics in 2015), and the signs are this is only going to increase. Some 31% (nine million) of all workers are already over the age of 50 (one million are over 65), but experts predict this will swell to 10 million by 2018. By 2024, the over-50s will be the largest group in the workforce. All in all, within 20 years, a quarter of the UK’s population will be aged 65 or over, and a significant number will still be earning a monthly pay packet. While age and ill health don’t necessarily go hand-in-hand, it is clear from these statistics that one of the biggest factors that will potentially impact businesses in the near future will be the risk of employing older workers. 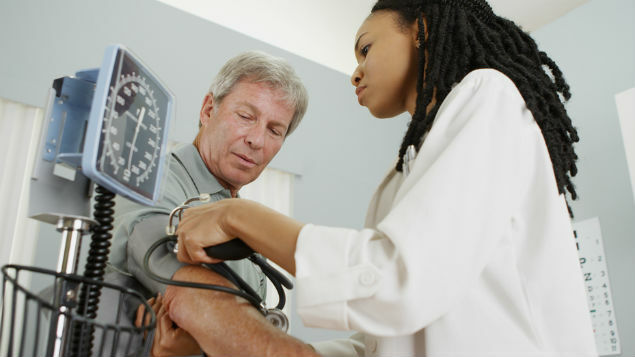 As people age, the probability of them suffering from health-related issues increases. Osteoporosis, high blood pressure, stroke, dementia, chronic obstructive pulmonary disorder (COPD), musculoskeletal conditions and certain types of cancer are all more prevalent as people get older. The key difference is that whereas people would have previously got these health problems while in retirement, they will now be more likely to occur while they are still in employment. As a result, the use of add-on health services is likely to increase. This is not only because older employees will themselves be demanding it as a perk they feel they need, but also because there’s a wider business case. The cost to organisations of providing healthcare and protection insurance rises the older the average age of an employer’s population base. Add-on services can mitigate risk and help bring down insurance costs if used in the right way. One example is the introduction of second medical opinion services. This practice is rising because of a shift in how insurers want to reduce the risk around older workers. Whereas in the past insurance was typically based on providing employees with financial support once they had been diagnosed as ill, now it’s becoming based on early intervention, so they receive the right rehabilitation that enables them to return to work, not leave. Independent, expert second opinion services offer employers access to leading medical specialists globally, who will either confirm diagnoses or suggest other interventions for employees. A number of insurers, including group critical illness and income protection providers, already offer similar services to help employees make the best decisions about their health, and in doing so avoid unnecessary treatments. This approach can align the goals of getting people healthy again and reducing direct and indirect healthcare costs. As if diagnosis can be improved, the overall cost of insurance can be reduced. And there is more change to come. Bringing down insurance costs requires knowledge. Applying analytics to conditions that attract the most errors in diagnosis and treatment plans can form the basis of a reduction in medical costs. In turn, these can be presented to insurers that might be confronted with similar cases of their own. Best Doctors’ growing data shows that, with revised treatment recommendations, significant savings can be made by using a second set of expert medical eyes. The service’s interventions have, on average, saved £24,000 per case, but in some instances the savings are significantly higher. Diagnoses have modified numerous initial medical recommendations. For one back-pain sufferer, experts saw no evidence of spinal instabilities initially diagnosed to require lumbar fusions, which led to medical savings of £70,871. For another, experts suggested changes in medication for a back-pain sufferer that achieved medical savings of £139,446. Overall, during 2015, Best Doctors’ experts recommended a change of diagnosis 17% of the time, and a change of treatment 34% of the time. Data is bringing together the dual aims of getting better medical information out to employees who need it, while reducing the costs for insurers. While it is too early to say the degree to which such innovations will mitigate rising insurance costs for older workers, reliable information eliminates the anxiety and uncertainty for insurers, employers and employees alike. Dominic Howard is director of European sales and accounts at Best Doctors.